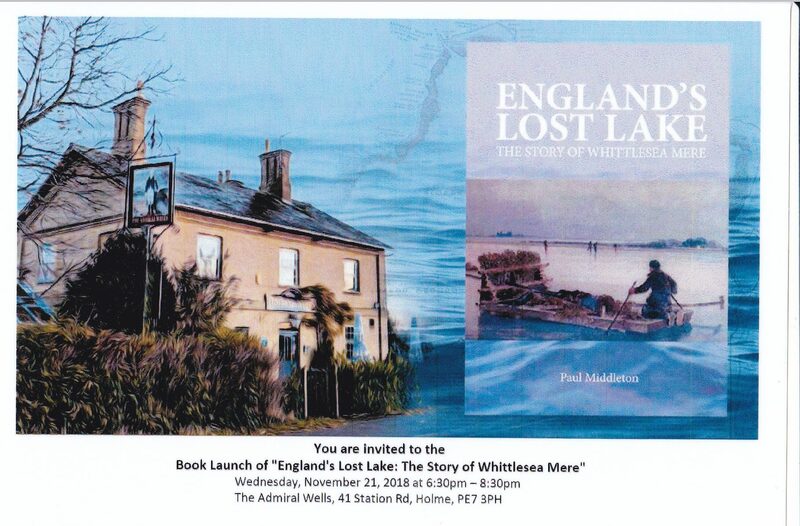 ‘England’s Lost Lake – The Story of Whittlesea Mere’, by Paul Middleton, was launched on Wednesday 21st November 2018 at the Admiral Wells in Holme. Order your copy now. Whittlesea Mere – one of the wonders of Huntingdonshire! The historic county of Huntingdonshire has much to recommend it, and one of its lost treasures is brought back to life in this welcome updated and substantially expanded edition of a study first published in 1987. The Mere was the largest body of inland water in lowland England before its drainage in the 1850s, an action which brought to an end a long, rich and thriving history of fishing, reed-cutting and boating, control of which excited the interest of kings, and was fought over by medieval abbots and monks, 17th century drainers, local communities and rival landowners. Once drained, the Mere continued to influence farming practice, hindered the smooth running of the main railway line to the north and bequeathed to the nation in its surroundings two important nature reserves at Holme Fen and Woodwalton Fen. 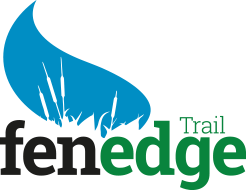 Now, in the 21st century, recognition of the area’s unique ecological and educational potential has seen the creation of a major environmental restoration project, the Great Fen Project.